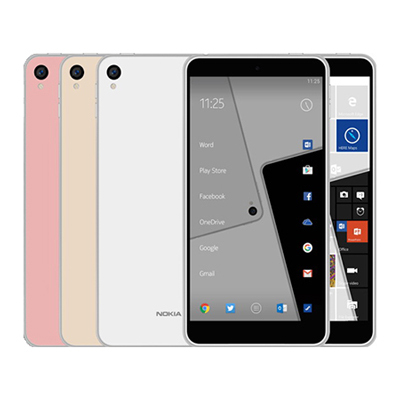 The Nokia C1 is rumoured to be Nokia's first Android handset, with a possible 5.5 inch display and a choice of White, Gold, Pink and Grey casing. Under the hood we are likely to see a Qualcomm MSM8976 Snapdragon 652 chipset and Quad-core 1.8 GHz Cortex-A72 & quad-core 1.4 GHz Cortex-A53 CPU. It is likely to be confirmed that the Nokia C1 will offer 32 GB of expandable memory and 2 GB RAM. The handset may also house a 13 megapixel primary camera, with autofocus, LED flash,	Geo-tagging, touch focus, face detection, HDR and panorama features. By registering your interest you will be first in line for pre-orders and first to hear specification confirmation news.